ESC Group is a Piling Solutions Provider working globally with offices and representatives strategically located in different parts of the globe to better cover the markets and give its customer the best service possible. Hong Kong, Shanghai, Abu Dhabi, Houston, Monterrey, Singapore, Jakarta, Belo Horizonte, Bogota, Guayaquil, Saint Petersburg, Brisbane & Melbourne are just some of cities in the world where you can find our people on the ground to meet with you face to face. ESC started back then in the early 1980’s as a Sheet Pile Installer and Manufacturer, using its own designed profiles having its first sheet pile driven in Magnetic Island in the Great Barrier Reef, Australia. Over the years up to the recent days the company has given support to the most variety of projects gaining enough experience to make it one of the leaders in Piling Solutions. ESC counts with a strong and powerful team of engineers with extensive technical knowledge in sheet piling that can easily identify the best alternative solution to its customer construction needs. Not only restricted to that, ESC can also supply and give engineering design support on different steel structural components for multiple purposes, such as bridge constructions and alike. One recent successful project in which ESC is proud of has been supplied through its subsidiary office in the United States. ESC Steel LLC as a subsidiary of the ESC Group headquartered in Hong Kong has been working out of its Houston office for three years and during that time has supplied some of the very big names in the US market. Among those are the likes of Kiewit, Boh Bros, Orion and Skanska. 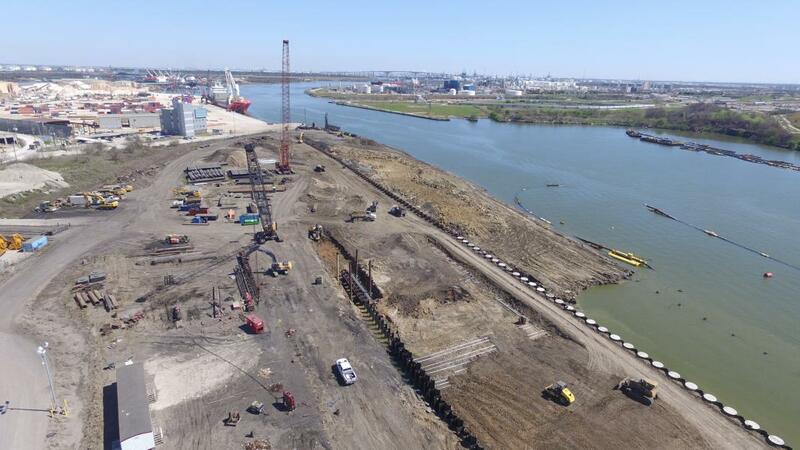 ESC Steel participated in the tender for Watco Companies that owns and runs Greens Port Industrial Park which is located at the eastside of the Houston heavy industrial zone along the Houston Ship Channel in Harris County, Texas. Greens Port offers deep-water barge docks along the channel with approximately 3 million square feet of indoor warehousing and numerous cranes ranging from 5 to 125 tons capacity. This port, foreseeing the increase of the demand had to go for an extension of its facilities to expand its cargo handling capacity. A third and fourth berth had to be built. ESC Steel beat all opposition due to the fact that it was able to use the information such as the Geotechnical & Structural Design calculations and present the best alternative with the most cost effective solution to WATCO Companies. ESC proposed a system that has been used extensively internationally and on every other continent of the world including Antarctica. 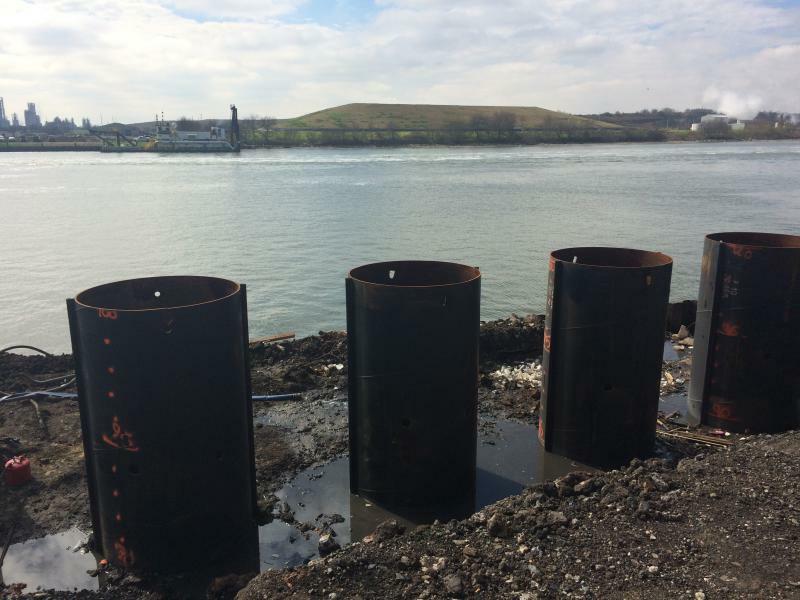 ESC Steel due to its superior cost competitiveness was awarded the supply of all of the Steel Pipes, Steel Sheet Piles, Steel Tieback System and bollards for the Combi-Wall.